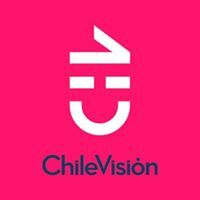 General TV Channel / Chilevisión is the third oldest Chilean television network. Formerly called Canal 9 de Televisión de la Universidad de Chile, Teleonce (Universidad de Chile Televisión) and RTU (Red de Televisión de la Universidad de Chile), this TV station was owned by Universidad de Chile, a Chilean state university. This educational institution sold a significant percentage of its TV channel to Venevisión, changing its name to Chilevisión. It was later sold to Claxson Interactive Group and then to Chilean investor and president Sebastián Piñera. On August 28, 2010, it was announced that Turner Broadcasting System Latin America had reached an agreement to purchase it. This assets do not include the analog television channel frequency which is still owned by Universidad de Chile and is used under a paid usufruct scheme, similar to a lease. This contract expires in 2018 and only affects the analog frequencies used by the station. On October 6, 2010 the purchase was materialized. The channel mainly airs celebrity gossip shows, talk shows, news, Latin American telenovelas, and anime. It currently ranks 3rd in TV viewership in the country behind TVN and Mega (in that order).